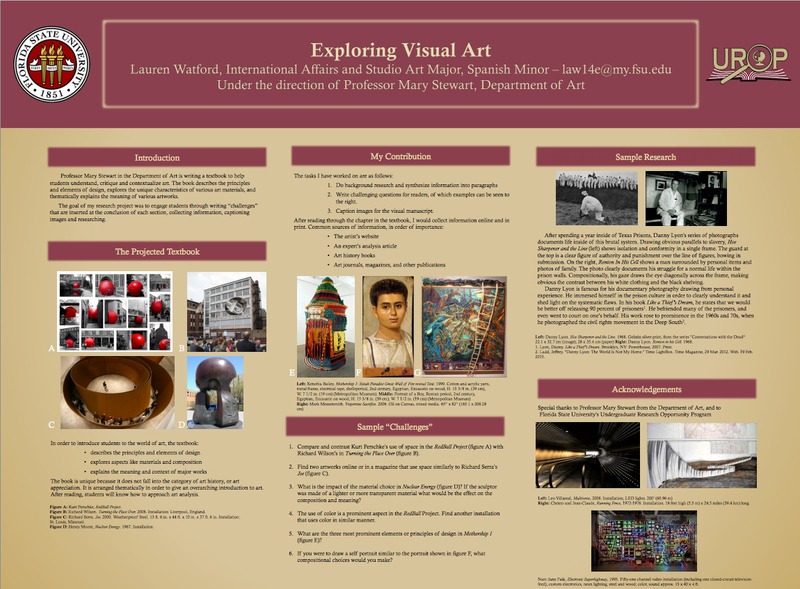 From August 2014 to present, first-year student Lauren Watford has served as a research assistant to Professor Mary Stewart in the Department of Art. 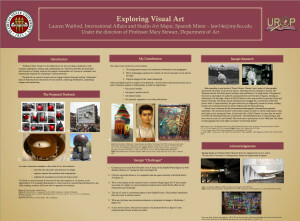 In this capacity, Lauren has researched artists and art movements, helped to compile an extensive visual manuscript for a 450-page book, written captions, and developed more in-depth commentaries on a select group of “keystone” images that are designed to provide students with a basic introduction to art history. Ms. Watford presented her research at the UROP poster session on Tuesday, March 31.